The Weiand Stealth Ram™ intake is a revolutionary, radical departure from the ordinary. Designed to take advantage of the benefits associated with high ram manifolds, it combines aggressive race inspired looks with the drivability of EFI. 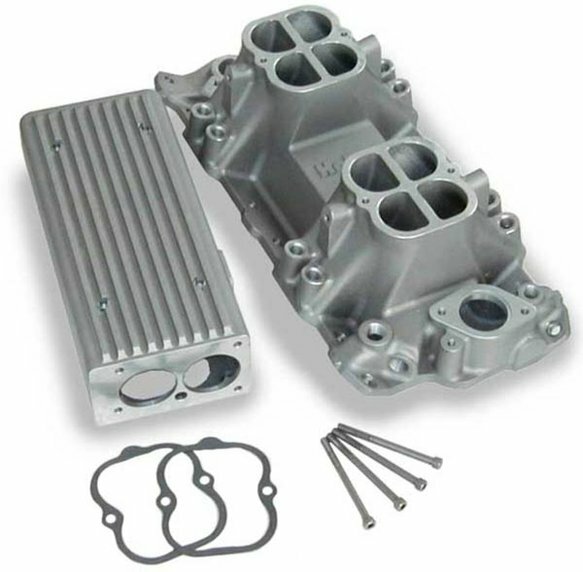 Designed primarily as a component of the Holley Stealth Ram™/Commander 950 EFI system, the manifold is now available for retrofit on L-98 TPI engines and other street/strip machines utilizing standard or 1987 and later aluminum Chevy cylinder heads. The manifold is designed to accept OEM and aftermarket TPI throttle bodies and includes provisions for mounting bracketry necessary for kickdown, cruise and throttle cables. Whether you are looking for more power for that late 80's Camaro or a new look for your street machine, look to Weiand.